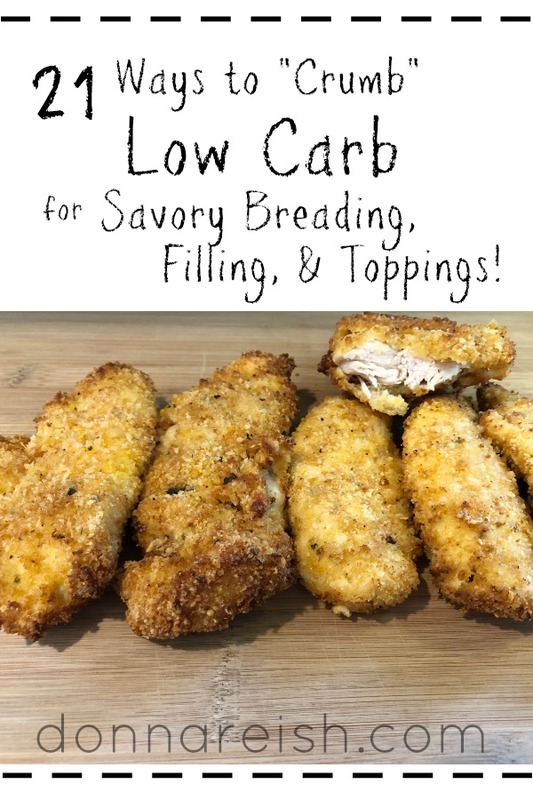 21 Ways to “Crumb” Low Carb for Savory Breading, Filling, and Toppings! Low carb and healthy cooks often have trouble with “crispies.” Sure, you can crisp up some veggies here and there. And if you aren’t low carbing it, you can purchase some healthier crackers and chips here and there. However, low carbers often miss the “crisps” more than anything (especially people who have learned how to make sugar-free treats. (See my recipe index for some amazing sugar-free treats. My personal favorites are Peanut Butter Bars, Apple Butter, Cinnamon Pecans, and Reishes’ Cups…. 🙂 …) So to combat the “crispy conundrum,” I recently posted an article called “Simple Low Carb Tortilla Chips and Crackers (Savory and Sweet).” (I know that’s a mouthful!) In that post, I describe how to use low carb or healthier lavash, flatbreads, soft tortilla shells, and pitas to “crisp” for crackers and chips. 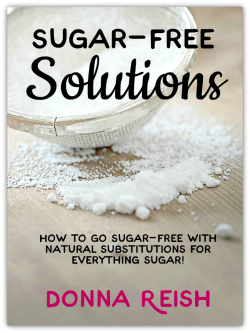 This article will take those one step further and explain how I use those crisped items, low carb bread, pork rinds, sprouted low carb bread, and more to create savory and sweet crumbs (including substitutions for graham cracker crumbs, panko, and cracker crumbs). 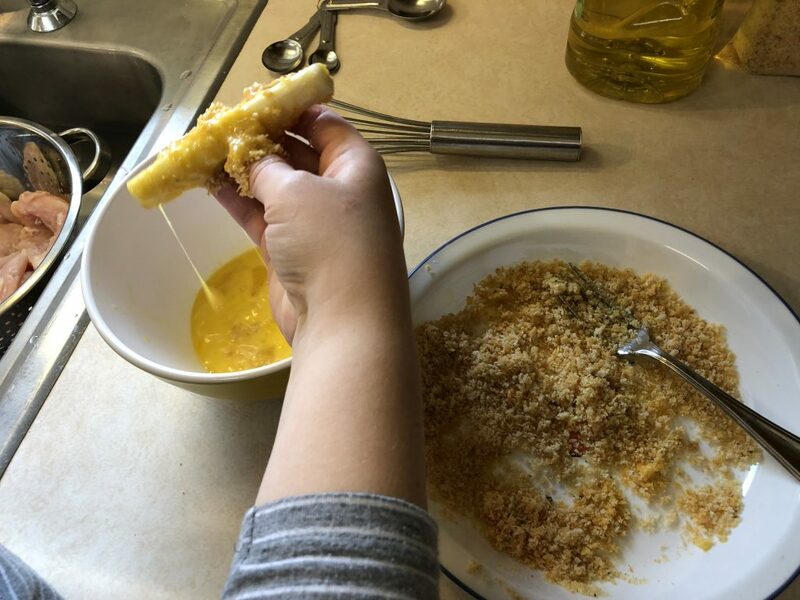 To get breading to stick to cheese sticks, double dip in egg then coarse breading mix that have a tablespoon or two of olive oil added to it. Handle carefully. Ideas for “Crumbs” for Breading, Crusts, Filling/Binders, and More—All 21 Ideas! 2) White, Low Carb Buns or Bread–This is not the healthiest choice by far, but many people are trying desperately to make lower carb choices and coming from a SAD (Standard American Diet) background. This blog doesn’t assume that everyone is happy being keto or that everybody is accustomed to all of the lower carb options’ flavors! These Healthy Life white buns, usually available at your local store, have 15 net carbs per bun. They aren’t huge, but they’re not tiny either. Based on the fact that each slice of bread yields approximately 1/4 cup of crumbs, I am guessing that one of these buns would yield 1/2 cup or more of crumbs. Either way–with the white low carb bread or the white low carb bun–you are looking at about 5 to 7 net carbs for each piece of 4 ounce meat that you bread with this. 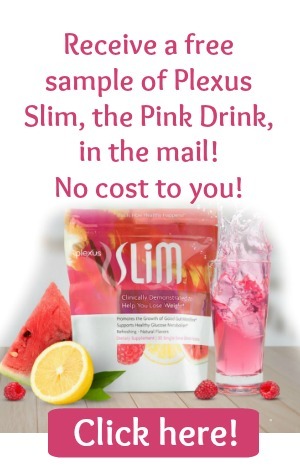 Dilute it in half with something lower in carbs (low carb torts or pitas or almond flour) and get a lower count. Dilute it with something nearly carb free like Parmesan or crumbed pork rinds, and cut that carb count in half. 3) Lavash–If you don’t mind a more wheat taste for your crumbs, I highly recommend Joseph’s Lavash. There are four large rectangles per package (as in huge, probably 11″x15″ pieces). Each half lavash is only 5 net carbs. If I am making crumbs out of this, I just rip it into big pieces and stick it in the microwave as given in the instructions below. (No need to make perfect squares for crumbing!) With Joseph’s lavash, one package contains four rectangles. These four rectangles yield 1 ½ cup finely ground crumbs after crisping. Follow instructions below. That means that each 1/8 cup (enough for the average fish or chicken single-dipped) would be about 2 net carbs per piece of meat. 4) Low Carb Pitas— Another cracker option is Joseph’s Low Carb Pitas. There are six “loaves” in a package. Each “loaf”/pita would make a ton of crackers–though you don’t need to make perfect crackers to crumb these either. Just cut in large strips and crisp….then crumb. 5) Dried Low Carb Bread–Another “out of the box” option for crumbs is to cut a piece of low carb bread in quarters and crisp it in the oven like large croutons. You can butter and salt them before you do this. (Or you can butter and “Pyure” them for sweet crumbs–see below!) If you have an extremely low carb bread, such as ThinSlim Bread at 1 net carb per slice or even your locally-purchased bread with 4 or 5 net carbs, you could have a fairly low carb crisp. (I don’t need super low carb since I don’t do keto, just lower carb, so I even use my mini loaves of Low Carb Sprouted Dough, sliced, crisped, and processed.) (See instructions for homemade panko below.) 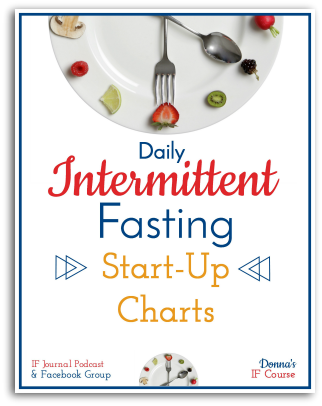 One cup of bread crumbs is usually yielded from four slices of low carb bread. 6) Low Carb Tortillas— For a somewhat nutty flavor (not heavy), my favorite is Mama Lupe Low Carb Tortillas. They have a wheat flavor, but not as intense as the Joseph’s pitas and lavash. They have 3 net carbs per tortilla, so you can get a very low carb crumb out of these! Another good option is La Tortilla Factory Whole Wheat Low Carb Tortillas, also at 3 net carbs per tort. 9) Crisped Parmesan Crisps—you can get these crisps that are fully 100 percent cheese. I personally have never “crumbed” these, but I would start with a small amount and work up. The main concern I would think might be making them too moist once the oil in the cheese is released. Just grind slowly and see how much crumb you end up with. Also note that these are extremely calorie dense. I would mix this with panko or low carb crumbs from another option. The benefit of these over powdered Parmesan is that you can crumb them more coarsely, adding to the crispiness of your final breading. Use a wide, shallow dish for dipping. Refill with the breading mix often (and clean out between batches) to keep the breading mix from forming big clumps of egg/mixture. 10) Parmesan Cheese–Low Carbers and Keto peeps use grated Parmesan cheese for everything! It makes a great filler for meatloaves, meatballs, salmon patties, tuna balls, salisbury steak patties, and more. 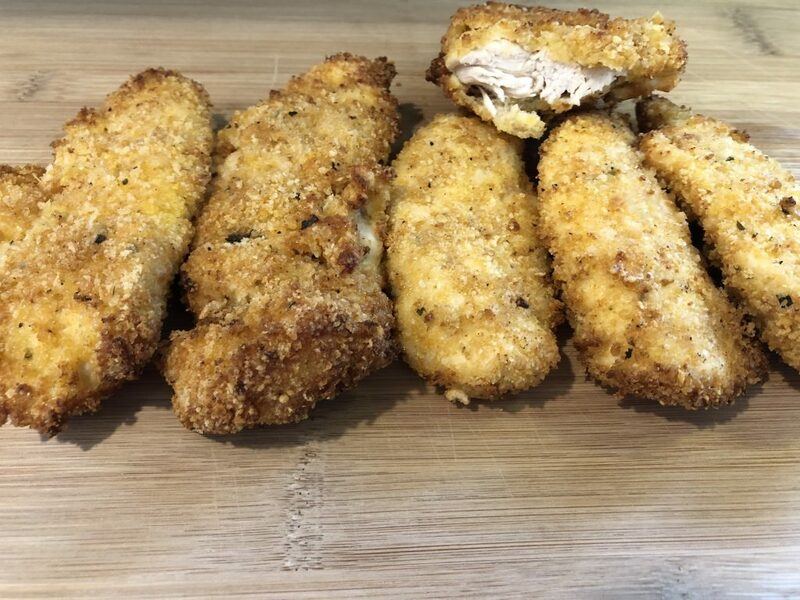 It is also great for a breading mix alone (it is the basis of the popular Parmesan Chicken Breast recipes you see floating around) and even better when mixed with another breading type. 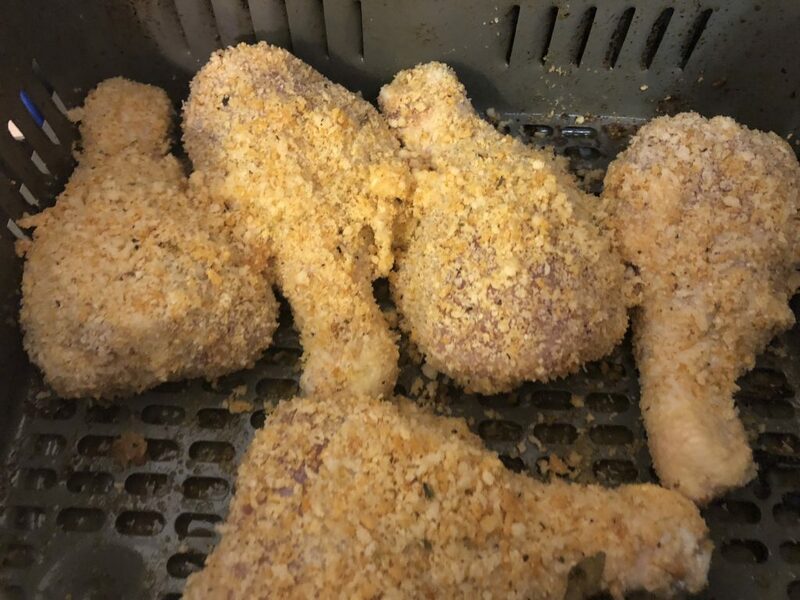 You will not have a crispy exterior with Parmesan alone, but it does give flavor and add a little texture to skinless chicken. 11) Pork Rinds–Keto people are often crazy about these for a chip replacement (some dip them in savory dips AND sweet dips….ummm). Even those of us who can’t stand the taste of them as a snack have found that they actually make a nice breading. (I especially like them when mixed with other crumbs.) No need to crisp; just run them through the processor to the crumb texture you desire. 12) Store Bought Panko Crumbs—Panko crumbs get a bum rap in the low carb world. I know many low carbers absolutely do not eat wheat, which totally eliminates these as an option. However, in terms of carb count, some panko crumbs are not terrible. For example, Kikkoman crumbs have 24 carbs per half cup. It takes approximately 1/8 of a cup of crumbs for each 4 ounce piece of meat. This means that if you use store-bought panko straight up, you have 6 carbs per piece. 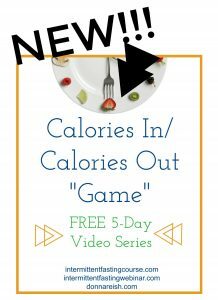 However, if you combine these crumbs with a carb-free or nearly-carb-free option, you will have 3 net carbs per piece of meat. Unless you are keto, this is totally doable! 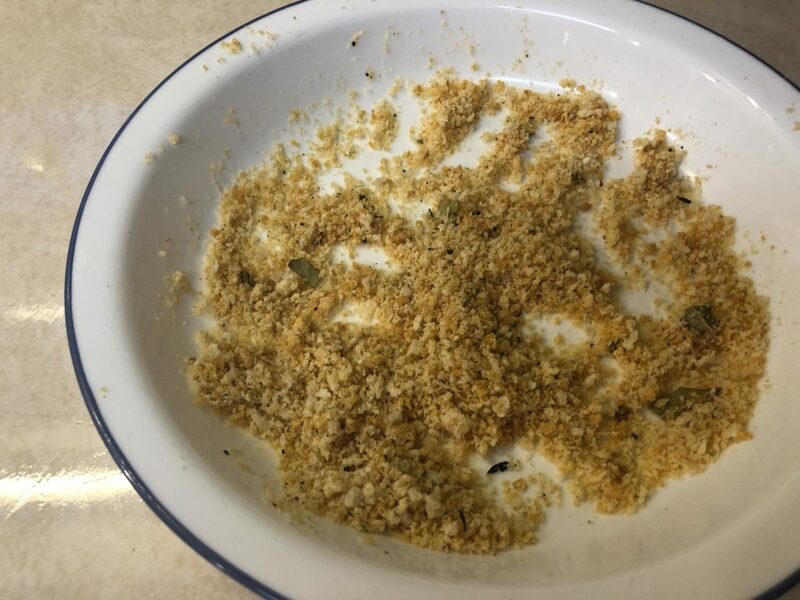 14) Healthy Cracker Crumbs—Most of us have done the whole “Ritz” cracker casserole topping before, so we are used to crumbing crackers for breading and topping, etc. Depending on how fine you want your crumbs, you may use a processor or the old “zipper bag and mallet” for crumbing. There are some low carb crackers out there, but they are super pricey. If you have some healthy crackers you enjoy but want to keep your crumbs lower carb, you could use half cracker crumbs and half something with fewer carbs, like Parmesan cheese or pork rinds. 15) Ground Nuts–Almonds are often used for breading in savory recipes. You can use “almond meal” that you purchase (somewhat coarser than almond flour so good for breading) or you can make your own. To make these yourself, you can add any type of almonds (whole or partial–salted, unsalted…any kind will do) to a processor in small increments and pule until they are coarsely ground. Do not over-process or you will end up with almond butter! 16) Coconut Flour—Coconut flour has approximately 12 grams of carbs per half cup. So when you compare it to panko, it is significantly lower. Again, panko plus pork rinds would be about the same as using coconut flour only, carb-wise. Most people prefer to combine coconut flour with Parmesan cheese so dilute some of the coconut taste. 17) Shredded Coconut–Even before low carbing, many of us enjoyed coconut shrimp and coconut chicken. They are both delicious! Generally speaking to make the shrimp and chicken, you use half shredded coconut and half flour. There are only 7 carbs per half cup of unsweetened shredded coconut, so this makes it a very low carb breading option. Mix it with almond flour, Very Low Carb Flour Mix, Sprouted Flour Mix or half sprouted flour mix and half almond flour—all lead to a low carb breading option. 18) Shredded Cheese—One of my favorite chicken breast recipes (that I don’t have posted yet!) has half breading mix and half shredded cheddar cheese. It is absolutely delicious. 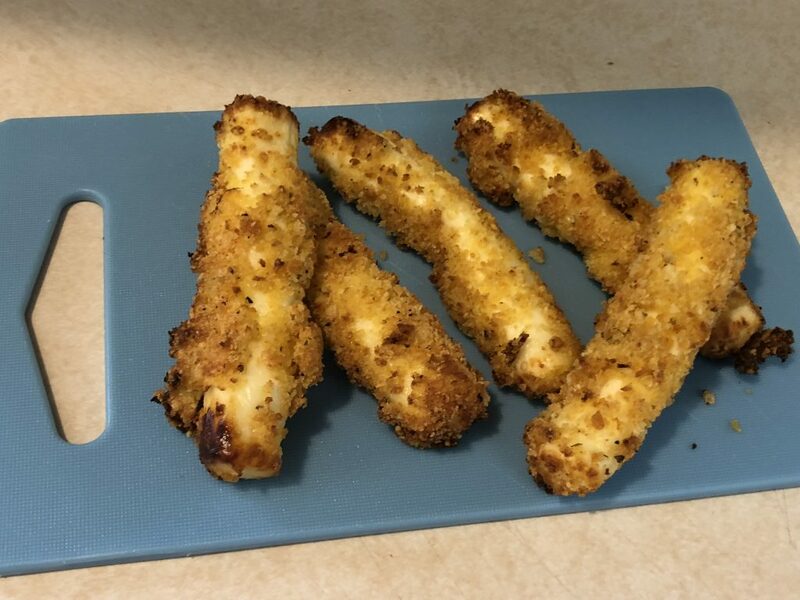 Not as crispy as some with only breading mix, but it showed me how shredded cheese could be incorporated into breading quite easily, adding a level of yumminess and moistness to lower fat meats. 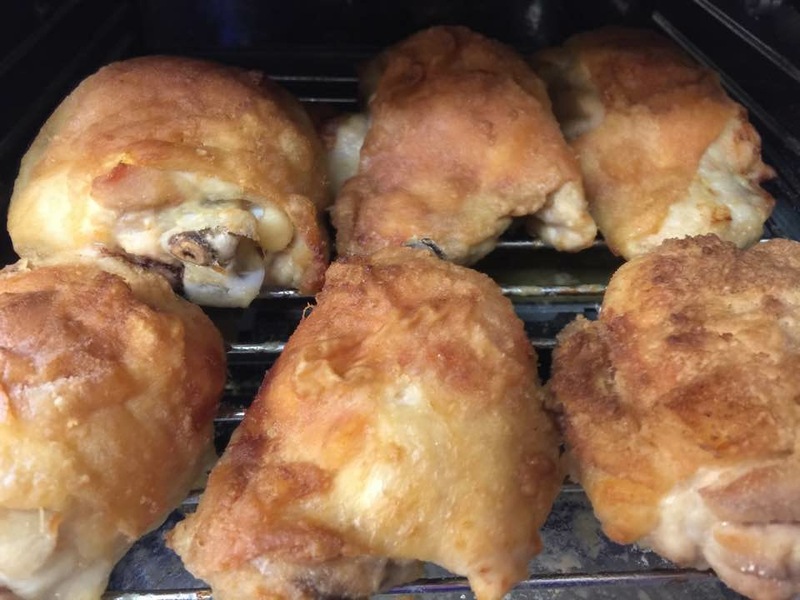 Love how I can do six full chicken thighs in my big 9 quart fryer! 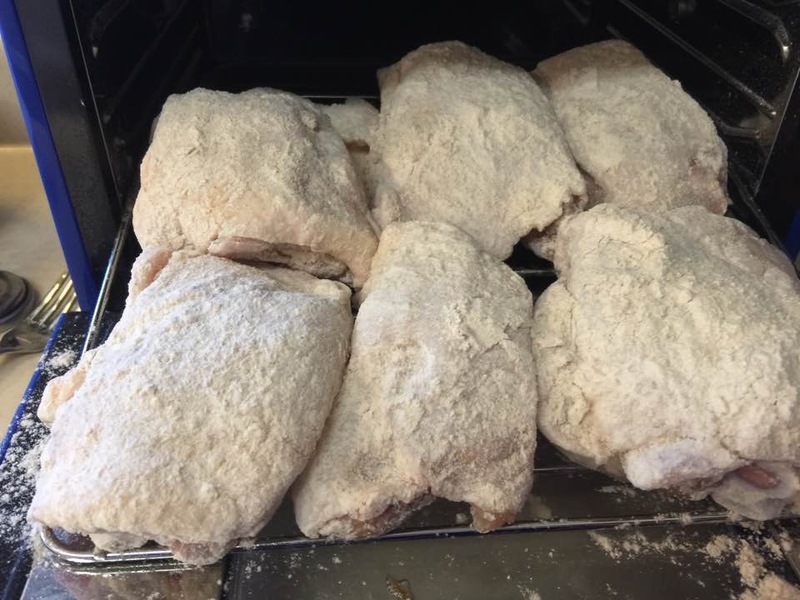 I won’t go into great detail for “how to bread” here since I have a low carb breading mix post with those….but I have to give a few ideas! 1) Try using any of the combinations above in my Low Carb Breading Mix! 2) Consider eggs! Breading stays on so much better when the breading is preceded by egg. Some people dip in flour first, then egg, then the breading mix. 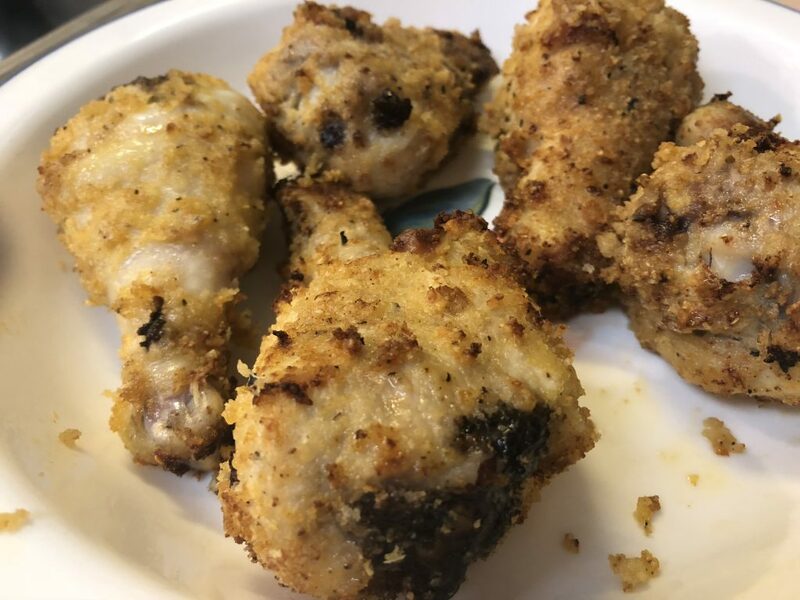 3) Try everything in your air fryer! I love how it crisps low carb breaded items. 4) If oven “frying,” put the items on a rack over a cookie sheet so that the underside gets crispy as well. 6) Double dip for double the flavor and double the crisp! Again, skin-on meats already have the benefit of the skin that gets crispy. A lighter, more flour based combination works well for breading. 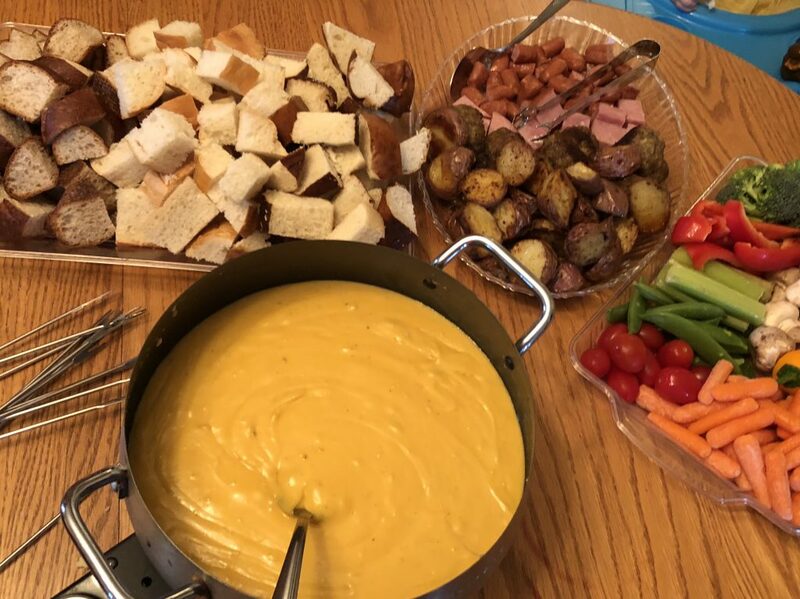 Any combination of these “crumbs” makes great filler for meatballs (as shown in our fondue pic), meatloaves, ham loaves, tuna balls, salmon patties, Salisbury steak, etc. 1) Cut each item in shape you desire. I cut lavash, etc., with scissors into pieces about cracker size or long strips. 2) Oven method: Brush each piece/side with oil and sprinkle with salt as desired. Place on baking sheet with parchment spread all out. Bake for 5-8 minutes, turning halfway through, until crispy. 3) Microwave method: Brush each piece/side with oil and sprinkle with salt as desired. Place in microwave baking dish (I use microwave-safe pie pans. ), spread out and not overlapping. Microwave for one minute, turn, and microwave until crispy, checking every thirty seconds. 4) Once crisped, crumb in a food processor to your desired texture. Below are links to the ingredients I use in this recipe. I am an affiliate for Amazon.com. If you click on the links, I will earn a small commission. Thank you for your support of this blog!